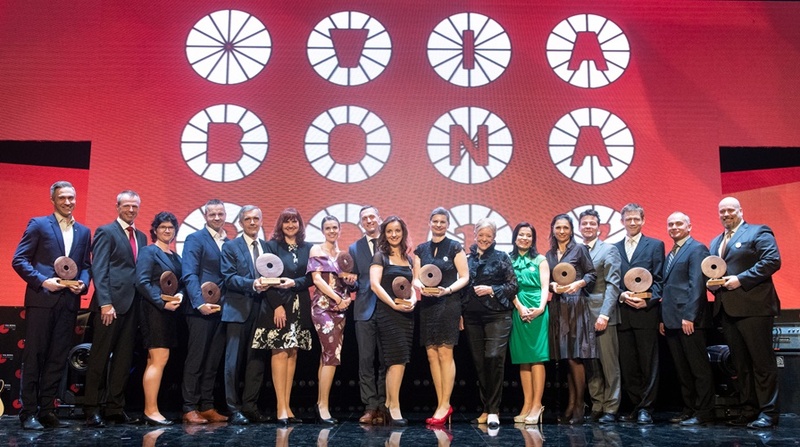 For the 18th time now, the Pontis Foundation has commended the most responsible companies in the Slovak market for their work by presenting them with the Via Bona Slovakia Award for 2017. The awards ceremony, which took place in the Old Market Hall in Bratislava this evening, was also attended by Wendy Luers, the founder of the Pontis Foundation’s predecessor – the Foundation for Civil Society. Andrej Kiska, the President of Slovakia, who was on an official visit to South Korea, addressed the audience by video. What the winners of Via Bona Slovakia have in common is the fact that they are willing go the extra mile. They are prepared to lend a helping hand whenever necessary. Positive examples are just what Slovakia currently needs. “In contrast to the current situation in our country, it is great to see that business can still be fair and responsible. Companies can change Slovakia for the better by treating their employees, their suppliers, the environment, and the local community fairly. Just like individuals, even companies can be forces of engaged citizenship that vocally stand up for decency, fairness, and justice,” explains Lenka Surotchak, Executive Director of the Pontis Foundation. “Sometimes, even a bit of effort can bring about great changes, and this year’s winners of Via Bona Slovakia are proof of that,“ she adds. This year, the Pontis Foundation received a total of 48 nominations in 8 categories. An independent jury composed of experts from business, state administration, the media, NGOs, and educational institutions selected 22 of those nominations for the final round and then decided on the winners, giving the most inspirational and responsible companies a chance to triumph. There were also two special prizes awarded this year: The People’s Choice Award, which was decided in a poll by readers of the SME daily, and Family-, Gender Equality-, and Equal Opportunities-Friendly Employer, which was presented in cooperation with the Ministry of Labor, Social Affairs and Family of the Slovak Republic. Which Were Last Year’s Most Responsible Companies? The winner of the main category – Responsible Large Enterprise – was Slovenská sporiteľňa. The company maintains its own foundation to support a variety of charitable projects which focus on education and the promotion of financial literacy. 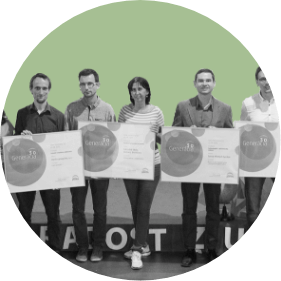 Slovenská sporiteľňa thinks of everyone by providing banking services, financial education, and consulting to target groups that usually do not receive help from other banks, whether it be new entrepreneurs, NGOs, or low-income groups. The company also employs a zero-tolerance approach to corruption, fraud, or any other fraudulent activities, not to mention its efforts to protect the environment by means of its environmental policy and strategy. The second award, Responsible Small/Medium-Sized Enterprise went to ANASOFT, a company involved in a variety of philanthropic activities. ANASOFT understands the value of its employees and supports them by offering various options for both personal and professional development. The company is also aware that even small businesses can do something to promote environmental protection, which is why it promotes various technological innovations, such as paperless offices. The Green Company category was won by GO4 forits environmentally-friendly taxi service called E-taxi. After a successful run with its Švihaj Šuhaj bicycle courier service, GO4 decided to take the next step in its mission – a zero-emission taxi service. In cooperation with HOPIN taxis, the company introduced 7 electric taxis to the streets of Bratislava – a significant contribution to improving the environment of the Slovak capital. After the first six months of operation, the taxis had covered almost 200,000 kilometers, saving approximately 40 tons of CO2 emissions compared to other taxi services. In this category, the jury also presented an honorary certificate to the company Impact Futuristics for its innovative approach to the promotion of beekeeping. This year’s Great Employer award went to Lidl Slovenská republika. The jury appreciated the company’s comprehensive approach to its employees – something which is not common in this business sector. Lidl sees its employees as the cornerstone of the company’s success – a message which is also communicated by a set of visuals and the “I am Lidl too” motto. Not only has this campaign improved the company’s image, but it has also boosted employee loyalty. The employees appreciate Lidl’s approach, which focuses on fair play and takes results into account. This category also included a special award titled Family-, Gender Equality-, and Equal Opportunities-Friendly Employer, which was presented in cooperation with the Ministry of Labor, Social Affairs and Family of the Slovak Republic. This award went to Accenturefor its bold and innovative approach to family benefits for LGBT employees that cover all possible scenarios they could find themselves in. 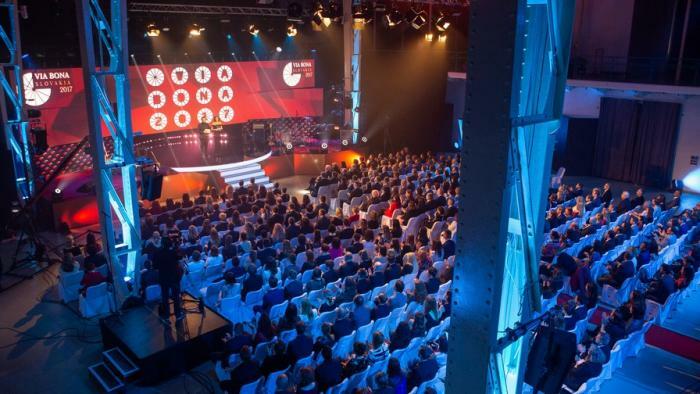 O2 Slovakia managed to win the Fair Market Player category with its 17 November project – a bold move which showed the company’s willingness to discuss sensitive social topics. O2 decided to remind people that the values of freedom and democracy are not a given and should be valued. Throughout the whole day, when users of O2’s mobile internet plan tried to access foreign websites, they were greeted with a notice simulating the Iron Curtain. Additionally, passengers taking the Slovak Lines buses from Bratislava to the Schwechat airport in Vienna had the option to watch a video and listen to a radio commercial commemorating the Velvet Revolution. 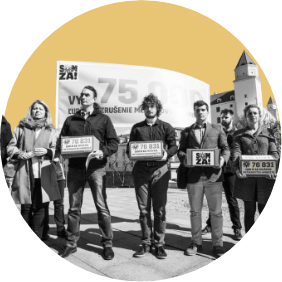 The campaign had a total reach of 1.7 million Slovaks. 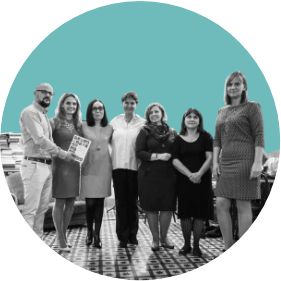 The Good Partner for the Community category went to GSK Slovakia for health mediation services and health awareness promotion in Roma communities. The company brought health assistants to the Roma community at Luník IX in Košice to combat the high rate of morbidity. In 2017, the health assistants helped with more than 18,300 problems. Since the project was first launched, it has already managed to expand abroad. 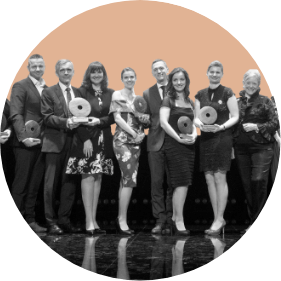 Accenturewith its S♥CODE project has managed to bring change to Slovak schools, earning the company the award for Social Innovations. The jury appreciated that the project promotes better computer science education at schools and motivates teachers to focus on programming during lessons. The company shows teachers how they can incorporate programming into computer science lessons in an enjoyable and playful way. So far, 200 teachers from 150 elementary schools have participated in the project, which represents a total reach of more than 10,000 students, both boys and girls equally. A new award presented this year was the Award for Contributions to Meeting the Sustainable Development Goals. The first winner was Tesco Stores for its contributions in the area of responsible consumption and production. Tesco focuses on combating food waste, thus promoting Sustainable Development Goal number 12. The company heads a coalition of executives called Champions 12.3, which connects experts from various sectors in order to accelerate the process of meeting this Sustainable Development Goal. By 2030, Tesco aims to help reduce the global amount of food waste by half. In this category, the jury also awarded an honorary certificate to PURE JUNK DESIGN for its contributions to responsible production and consumption. The company makes 75% of its products from waste materials and 25% from recyclable materials. The readers of the SME daily also chose their winner in the People’s Choice Award, which was decided in an online poll that was open between 6 March and 5 April. The Žilina-based company Nereus won against 7 other competing companies. The readers appreciated the company’s efforts to help children from all backgrounds attend swimming lessons as well as the company’s determination to nurture a love for sports among young people.